WHO: Any guys attending or interested in expanding your relationships with likeminded guys from BPC or the Brentwood/Westside area. WHAT: Dodgers vs Pittsburg Pirates at Dodger Stadium. WHERE TO MEET: Carpool from BPC garage at 4:00PM. COST: $30/PERSON. Partial scholarships available. The Men’s Ministry is covering the additional cost of $16/person for tickets (which includes free hotdogs & snacks in the Coca Cola Pavilion seating area. We will need at least 15 to get the group discount. SIGN UP on the Patio on April 7 & 14 or call/text Steve Ruth at 562-412-4646. Cost: $15/person in advance or $20 at the door. SIGN UP ON THE PATIO OR CALL THE CHURCH OFFICE 310/826-5656. Destination: Donald C. Tillman Water Reclamation Plant followed by lunch at the 94th Aero Squadron in Van Nuys. Registration: in Room 121 at 10 AM for bus departure at 10:15 AM. 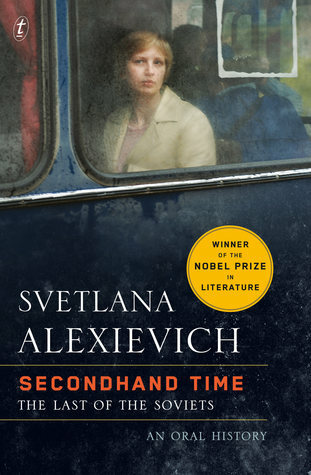 Our book for April is Secondhand Time (The Last of the Soviets) by Svetlana Alexievich. Alexievich won the 2015 Nobel Prize in Literature for this book, described as “a symphonic oral history about the disintegration of the Soviet Union and the emergence of a new Russia.” Neither pure history nor pure fiction, described by the Nobel Committee as a “history of emotions”, it’s a collection of the stories of individual ordinary people whose experiences are often lost in official histories, via interviews conducted from 1991 to 2012. Our next meeting will be April 28 at 7:00 PM in the Church Library.